Dong Xian (Chinese: 董賢; 23 BC(?) 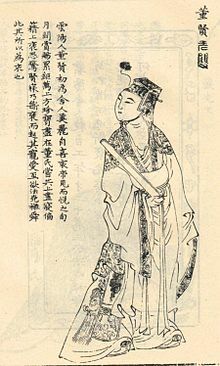 – 1 BC) was a Han Dynasty politician. Within a few years, he rose from obscurity as a minor official to being the most powerful official in the imperial administration of Emperor Ai. This page was last changed on 10 March 2016, at 06:43.